For all your Surface Pro 5 repair needs, the team at Phone Ninja have you covered. Released in 2017, the 5th Gen is easily recognised by the model number “1796” under the kick stand. 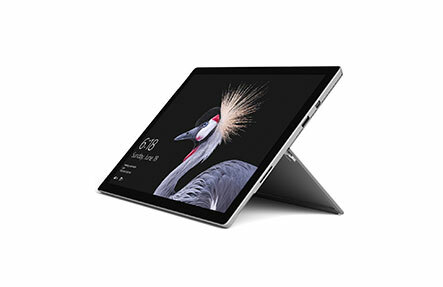 If you have an older version of the Surface Pro, then please follow the link. Of course we offer repairs from our multiple stores across Perth, including Surface Pro 5 screen replacements & much more. Cracked your Surface Pro 5 screen? Then Phone Ninja is the brand more people trust. Having been in business since 2009, we have served more than 30,000 happy customers. Our technicians are both skilled and experienced, but importantly we use only the highest-quality parts we can source. Worried about losing your data? You won’t with Phone Ninja. Worried about not getting the best price? You can be assured with our Perth price-beat guarantee. So for all your Surface Pro 2017 repair needs (5th gen), come down to any of our stores or contact us today.